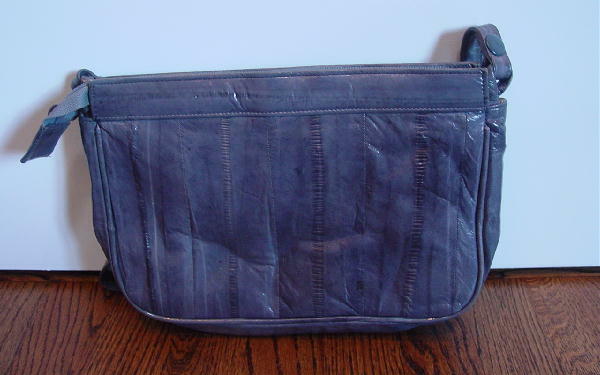 This genuine eelskin purse is in a dark gray. 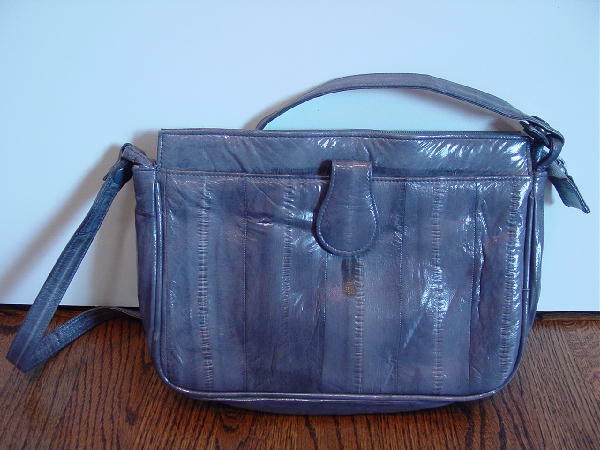 It has a top side to side zipper closure and an interior gray suede lining. There is some darkening to the suede below the zipper. The interior also has a large side zippered compartment which is lined in a nice patterned gray fabric lining. The exterior front has a large open fabric lined compartment with a magnetic snap under the tab. It has a 33" long eelskin shoulder strap.